Our Princess Guest Book helps you keep a record of who shared in your special day. 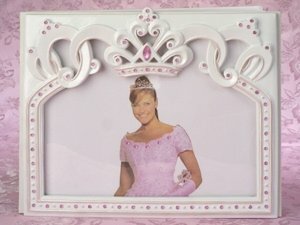 The 8 x 10 book has a sculpted resin tiara shape accented cover with perfectly placed pink crystals. Book comes gift boxed.